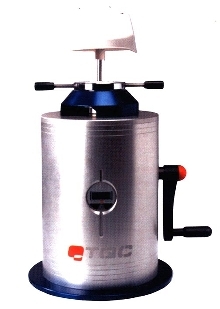 Rheometer is alternative to laboratory models. Moisture Meter checks wood and concrete. Drum Handlers lift, transport, and dispense. 82A Series has 1000 lb capacity and lifts standard 55 gal drums. It can rotate drum for pouring, lock drum in horizontal position for dispensing, or lock drum in vertical position to prevent spills. Maximum dispensing height is 26 in. for horizontal drum. 82H Series has 1000 lb capacity and moves drums to and from pallets and floor. It can raise drums 34 7/8 in. tall up to 22 in. above floor. 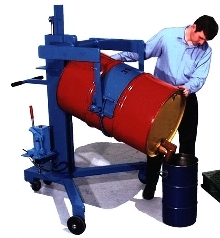 Drum Lift/Transport Stations have 1,000 lb capacities. Inspection Tool eliminates demolition and disassembly. Based on fiber-optic technology, ProVision, with flexible cable, fits into holes as small as 1/2 in. diameter, allowing user to look behind walls, down into drains, inside engines, and many other places, with one-handed operation. Objects as close to lens as 3/4 in. appear clearly. 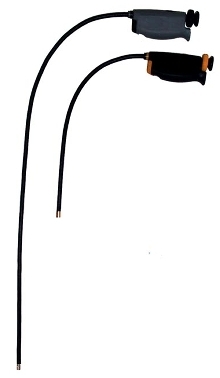 Sealed lens and cable are submersible for underwater use. Heavy-duty plastic carrying and storage case is included. 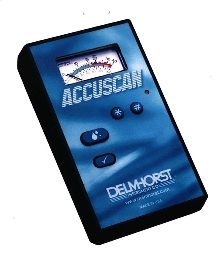 Digital Gauge measures coating thickness. 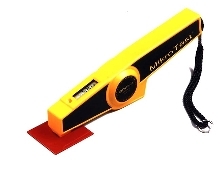 MikroTest(R) Banana Gauge uses magnetic attraction principle with permanent magnet to make measurements in 2 seconds. It has digital display, 1-hand operation, and does not require calibration. Display can switch from mils to microns, and has audible and light indicator. Readings are activated at touch of button. Cupping Tester checks resistance to cracking. CP2000 instrument tests resistance to cracking and detachment of wet and powder coatings. It tests elongation of coating by means of punch that slowly deforms test panel until cracks are visible. 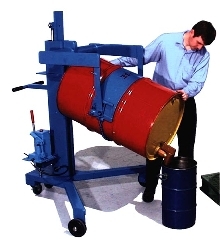 Apparatus can be used for ISO 1520 testing. It has digital display, sliding magnifier and bright light source to illuminate coating being tested. Hardness Tester uses LEEB rebound principle. 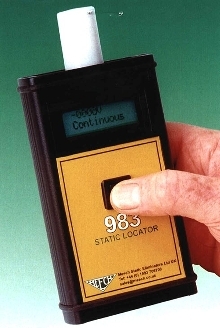 Static Locator measures static electricity. Model 983 provides accurate measurement of electrical charges in factories that make plastics, papers and other materials where static electricity causes handling and production problems. Measurement range is 0 to 200kV, at 150 mm. 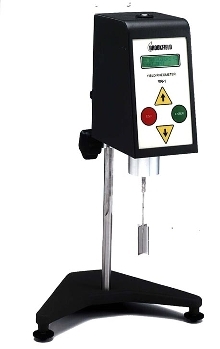 Instrument is suitable for use by production, maintenance, inspection and quality engineers in any circumstances where static electricity is present.